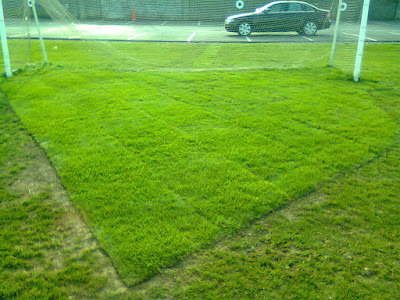 Over the weekend the Goal Areas were re-sodded and the centre of the pitch was seeded and fertilized. 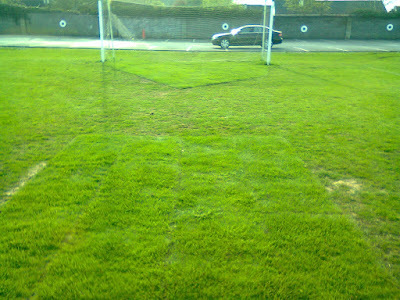 Therefore for the week coming the goal areas are out of bounds for training. 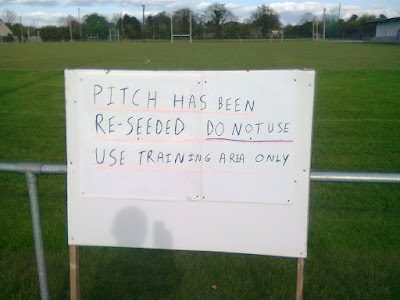 Please use the training area where possible, if the training area is unavailable please use the sides of the pitch only.